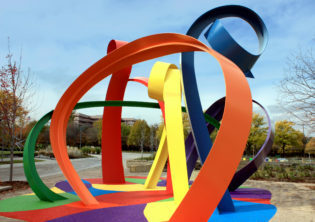 “Noodles & Doodles” is a collaboration with designer Mark Bourne. 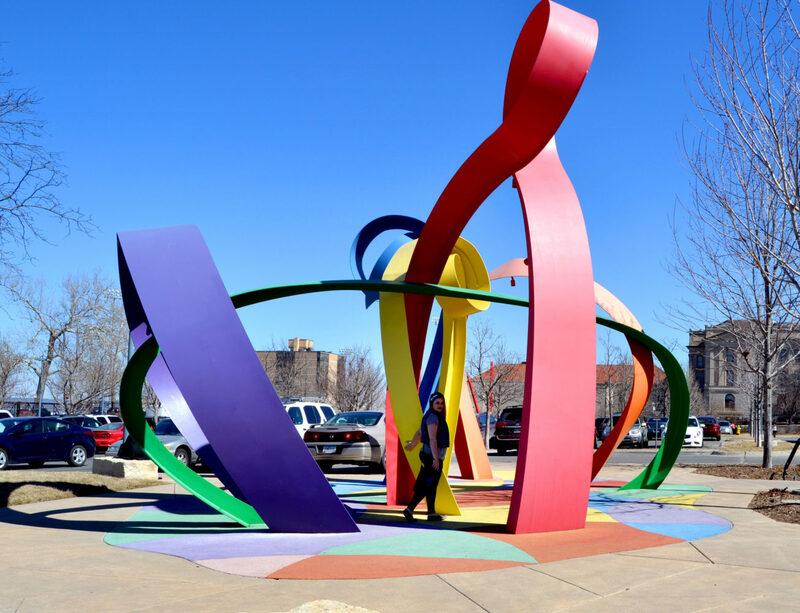 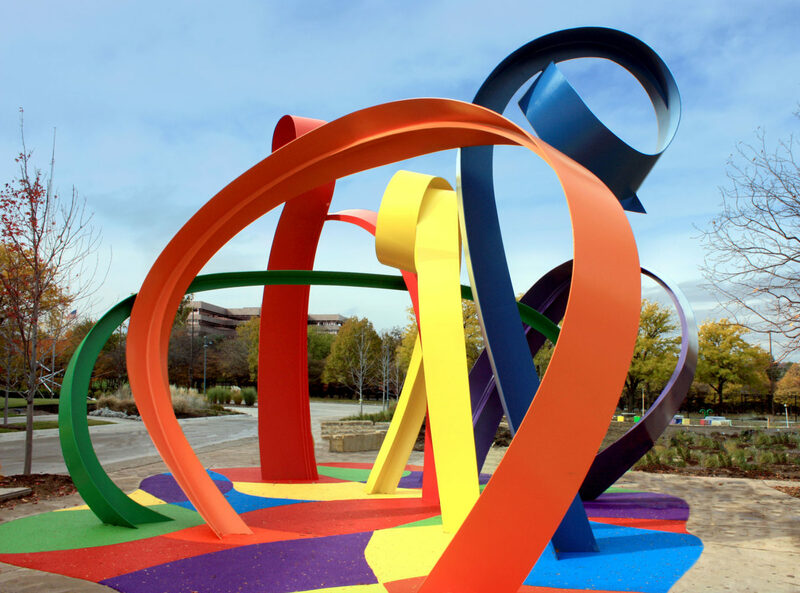 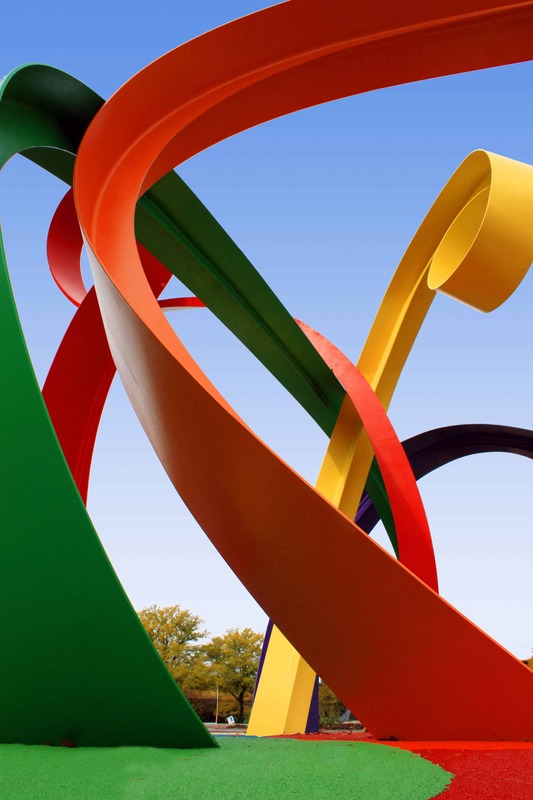 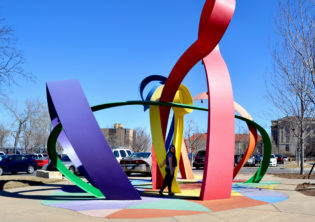 This zany and inviting entrance sculpture was created for Joslyn Art Museum’s Discovery Sculpture Garden. 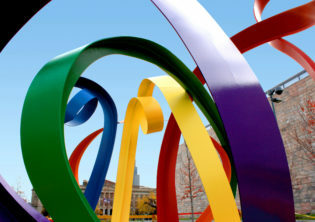 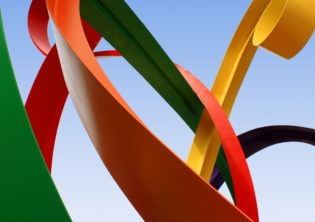 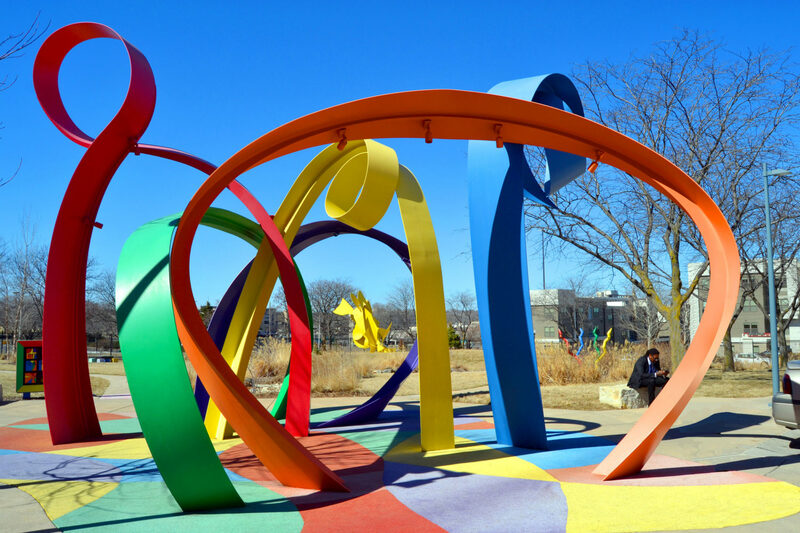 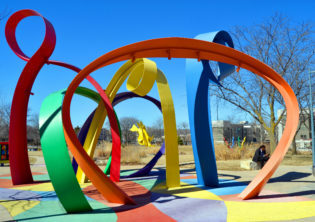 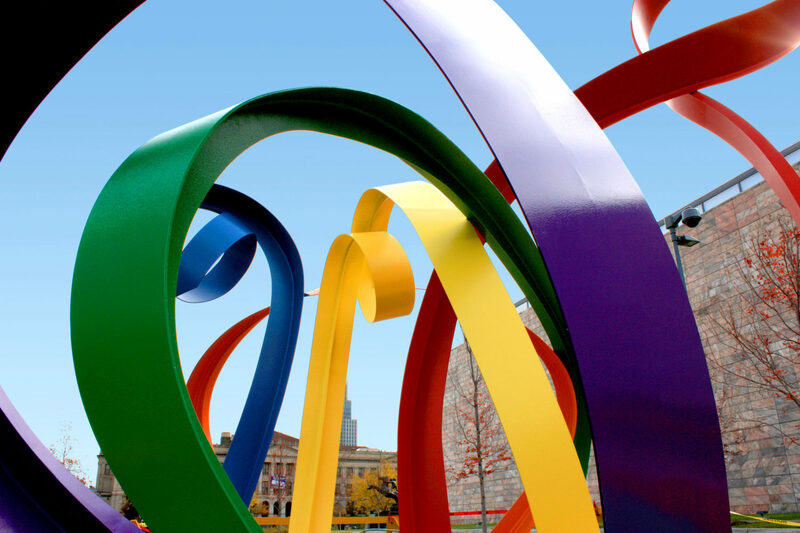 A blanket of colorful, recycled rubber lies under the brightly colored aluminum ribbon arches.